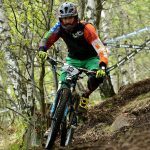 As every year, Finale Ligure (SV) hosted the final stage of the Enduro World Series, the world’s biggest enduro mountain bike competition. This year the Team Guidi Rosasbike participated in the event with the young Filippo Masotti who, back to race after a hand injury suffered in June, put himself to the test against the best athletes in the world in this discipline. After Friday practice and a day of rest on Saturday, the race was entirely held on Sunday on a course consisting of four very demanding special trails, both as for technical and physical performances, also due to the unseasonable heat. After a fall in PS1, resolved quickly, Filippo found his rhythm in the remaining tests ending with an excellent 50th place in the Under 21 category. His hand has recovered well and Filippo came back home happy for having had the opportunity to attend such a high-level event; an experience that will surely be useful for the next year. For our team, with this race, the 2018 season ends. The balance is very positive, with our athletes who have attended a large number of races throughout Italy. To them goes our biggest thank you, which is extended to their parents, who make big sacrifices to allow our young athletes play this wonderful sport. Finally, we thank Barbara Ragazzi for the beautiful photos accompanying these articles and, last but not least, our president Simone Concas who, season after season, makes all this possible. Appointment to 2019, ready for a new year of satisfaction! Thank you to Barbara Ragazzi for the photos.